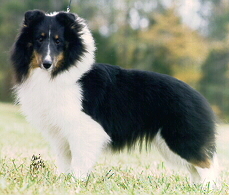 Shetland Sheepdogs,or Shelties as they are frequently called, resemble the Collie. 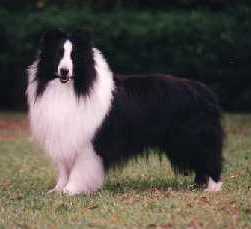 Although they are often called Miniature Collies or Toy Collies, the Sheltie is actually a completely separate breed. The breed evolved from its ancestors who once lived on the Shetland Islands off the northeast coast of Scotland. 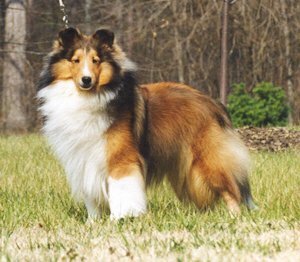 The Sheltie was developed as a herding and guard dog and an intelligent and affectionate companion. The breed's attentiveness and his willingness to obey were qualities desired by the crofter and the shepherd alike. Shelties have a very strong desire to please their owners and an enormous capacity for love and affection. Each sheltie has its own personality. Some are more reserved while others are very excitable and energetic. They are usually very easy to train and are responsive companions, as well as outstanding learners and workers in obedience, herding and agility events. Shelties raised as pets develop a lasting loyalty to their owners. Shelties are very alert and protective, and will bark to let you know something is different in their realm. Their natural affinity for children make them gentle and loving companions. Unlike some breeds, there is little difference in temperament between male and female shelties. Both make wonderful companions and pets. 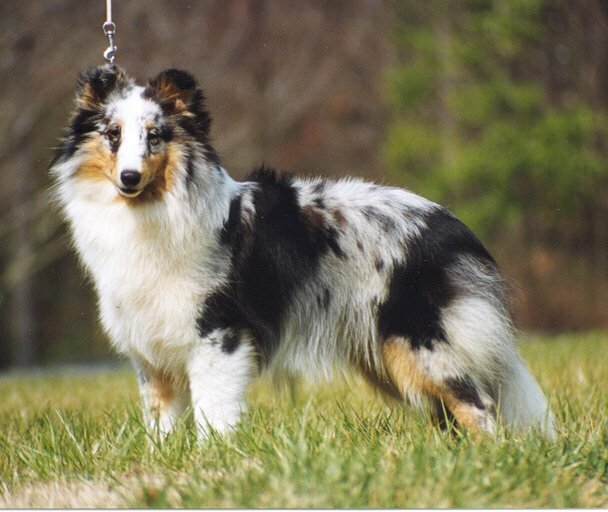 Is A Sheltie Right for Your Family? While Shelties possess many delightful qualities that make them rewarding companions, they also have two traits that may give pause to potential adopters: They have long hair to shed and they bark. Before acquiring a Sheltie, you should consider carefully whether you are willing to assume the special responsibilities associated with these. Shelties are a double-coated breed and require a minimum of one thorough brushing a week to maintain their coats. During sheds, daily attention is a must. Most adult Shelties shed their coat once a year. When youngsters "blow" their puppy coat, it seems as if there is fur everywhere, but this only happens once. Generally, males have heavier coats than the females, and of course the bigger the adult Sheltie, the more coat there will be to deal with. The other challenge to owning a Sheltie is that they are notorious barkers. To some extent, this varies with the individual, but as a breed they are known to be vocal. And unlike some smaller breeds which are barky but have "baby" voices, Shelties possess a penetrating bark. Your neighbors may not appreciate the fact that your dog's ancestors always lived within three miles of the ocean, and had to be heard over the sound of crashing surf, the call of sea animals, the bleating of lambs, and the howl of high winds. 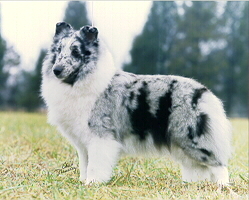 The Sheltie comes in five preferred colors, all set off by white markings: The most common color is Sable, ranging from golden brown to mahogany, with touches of black; Tricolor with black, and tan; Blue Merle with blue-gray, black, and tan; Bi-blue with blue-gray and black; and Bi-black with only black and white.